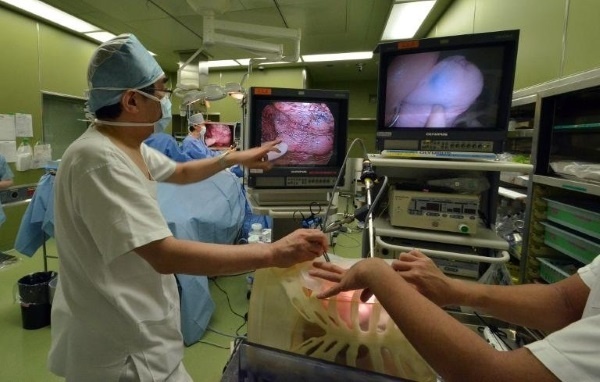 Doctors in Tokyo are removing tumors from a patient’s lungs while a class of students are performing the exact same surgery, on an artificial lung that has been created especially for this purpose. It is as if they are recreating a real life experience, except for the fact that nothing can go wrong. The mistakes thay make now will help them become better doctors in the future. 3D printing has found a trully inspiring and usefull niche in organ model printing. The 3D printed lung is ultra-realistic, just like a real one, it is wet, soft, and complete with tumors and blood vessels. It allows surgeons to practice their skills without hurting anyone. 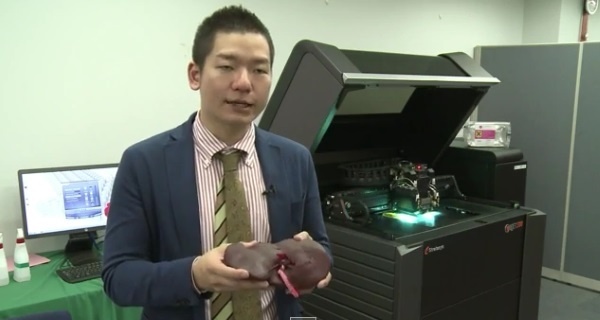 “With the wet model, doctors can experience the softness of the 3D printed organs and see them bleed,” explained the creator of the model, Tomohiro Kinoshita. “We aim to help doctors improve their skills with the models,” he confessed. The model is called Biotexture Wet Model, by its creator, and was created by scanning a real organ in exact detail and then by re-creating molds, using a 3D printer.The mold is then used for the actual reproduction of the organ, by injecting it with a synthetic resin that gives it a wet, real lifelike feeling, as it gets into the surgeon’s hands. The model is carefully and preciselly designed to exactly reproduce the texture and actual weight of a real organ. This way it can react to the surgical knife in exactly the same manner, as a real organ would. What do doctors have to say about the models? Those who have tried it described the experience as being really “too realistic”. “The touch is similar to that of the real liver,” said one of the instructors at Kobe University Graduate School of Medicine in Kobe, in western Japan. Therefoe, its creators are looking forward that not only young, inexperienced doctors but also experienced doctors to perform a a rehearsal, using the 3D printed model, before the actual surgical procedure.